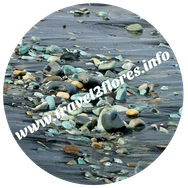 What are the highlights of Flores? The absolute highlights are Komodo National Park (komodo dragons, diving and scenery), Kelimutu National Park and traditional villages. What else to see? 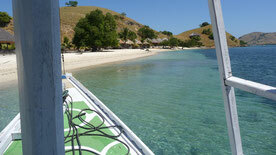 What does offer Flores more than Komodo and Kelimutu? The main attraction of Flores is its pureness. No traffic, endless beauty, nice people. 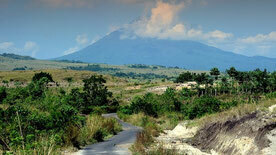 Flores has an unique culture, traditional villages, volcanos to climb, beaches which leave the ones on Bali far behind. Are the traditional villages worthwhile or (too) touristy? 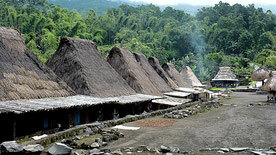 Wae Rebo is absolutely the most touristy village, especially in the months May to September. Outside these months Wae Rebo is still worthwhile. A good alternative for Wae Rebo is Belaraghi which is between Bajawa and Aimere. Bena village is on the UNESCO waitinglist and therefore the most visited traditional village in het Bajawa area. There are still relatively undiscovered gems and the traditional villages are still worthwhile. What are the costs for entrance fee for National Parks? Where are the best spots for diving and snorkling? Are there surfing places on Flores? Well, yes and no. There are no surfingplace in the meaning of exploited like on Bali, Sumba, Sumbawa or Rote. But there are some stretches at the south coast of Flores near Pruda and south from Hewa (both in the east) where are waves high enough. And maybe some more spots which are not discovered yet.